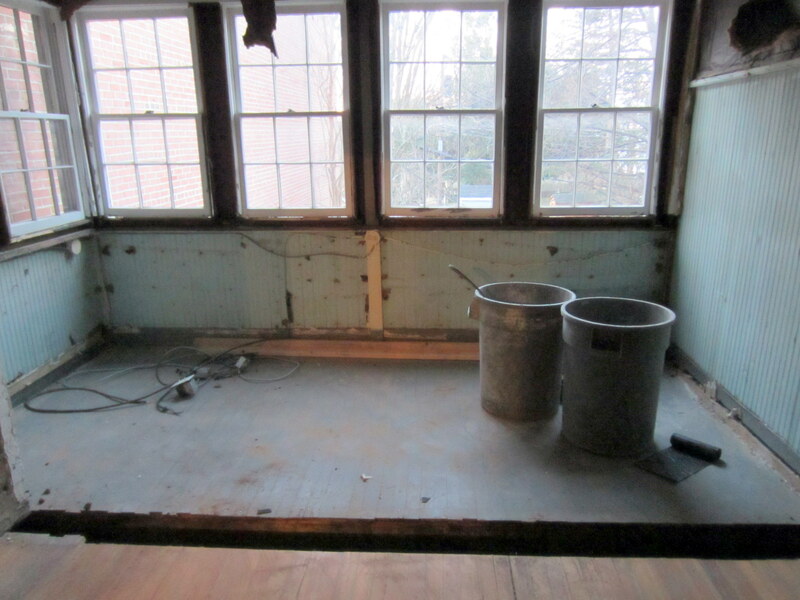 Below is the master bedroom before complete demolition. 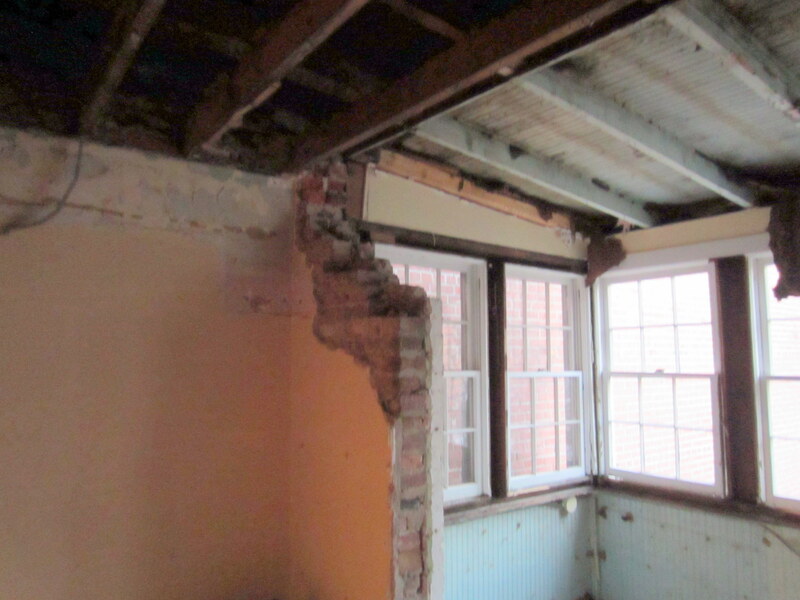 For the past 87 years, the sleeping porch on the top floor and the porch on the main floor have been attached to – but not really a part of – the brick structure of the main house. 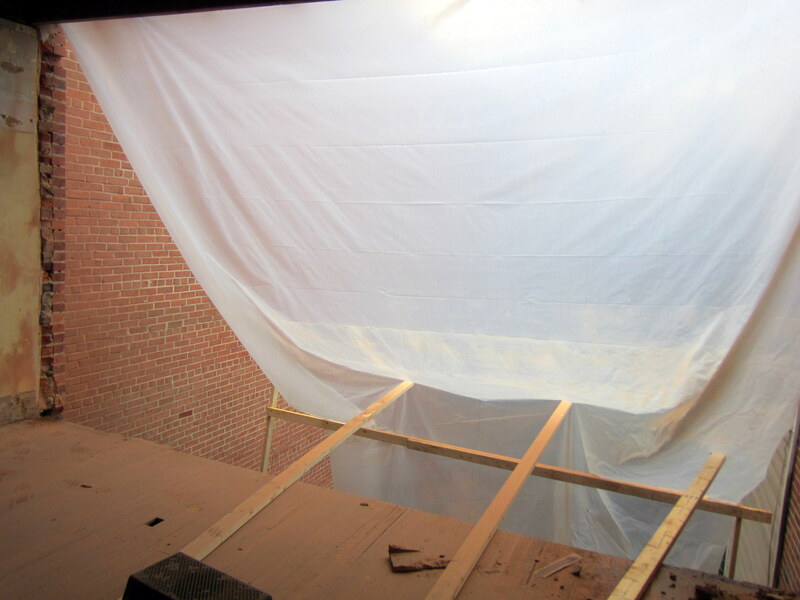 Although we and many of our neighbors have successfully integrated these structures into the house, there have been drawbacks, including poor (or nonexistent) insulation, inconsistent structural construct, and, most importantly, inconsistent dimensions. Namely, the west side of the porches (right side of house looking this direction) did not extend entirely to the wall on the other side. Truncated original back wall of house. Originally, this brick wall extended completely from east to west. However, a few owners ago, the wall was knocked out on the first and second floors, to only this vestigial section (there’s a smaller version on the opposite side). This slot separated the house proper from the porches. 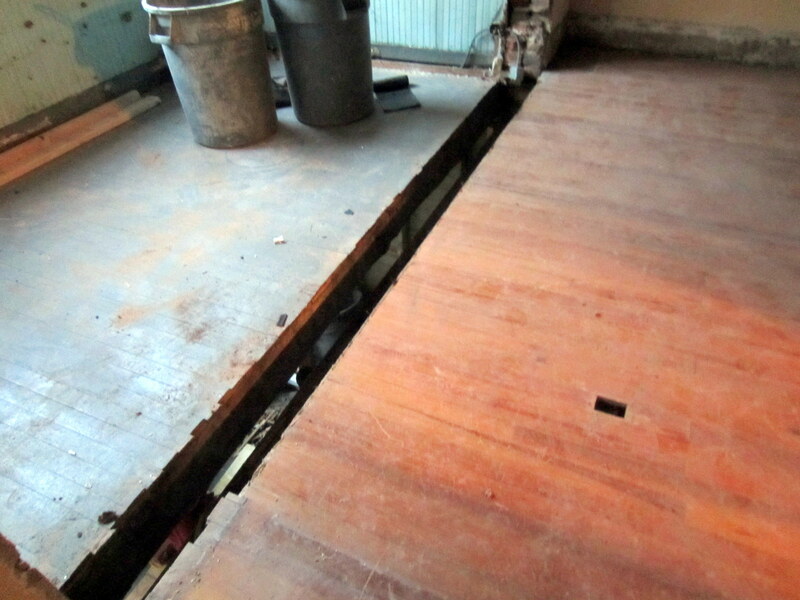 For the past 20 years or so, this slot was occupied by an 8″ – 10″ strip of the original brick rear wall, sandwiched between the floors and joists (and generally unsupported, other than by some patched-up wood beams, hidden by drywall. 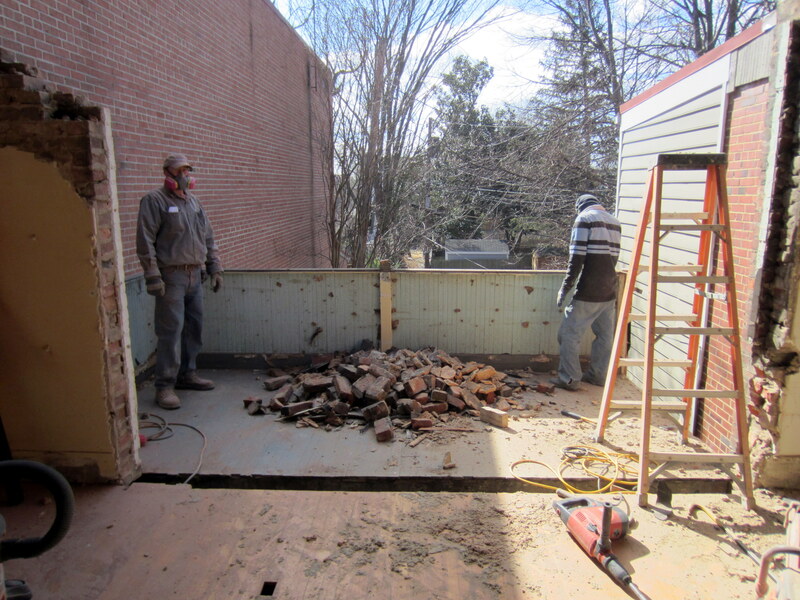 Master bedroom / old sleeping porch roof and windows removed. 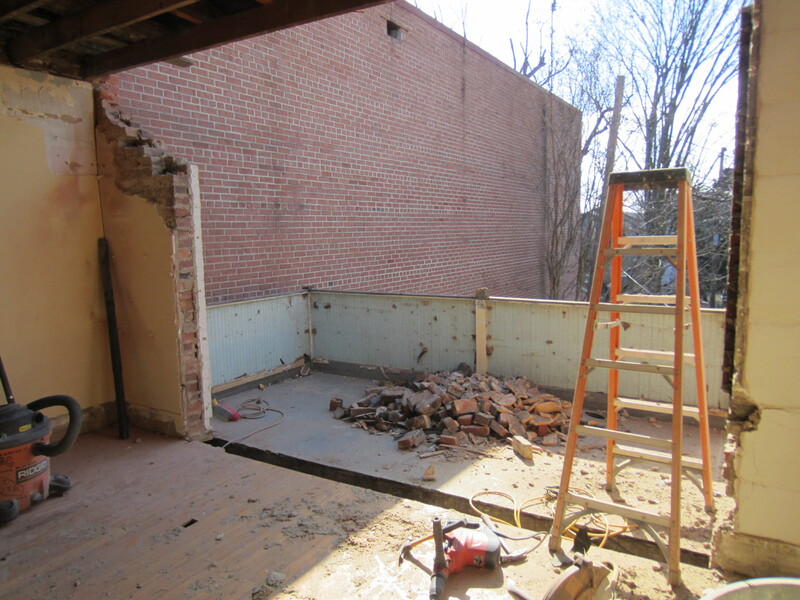 Looking back into the old master bedroom. 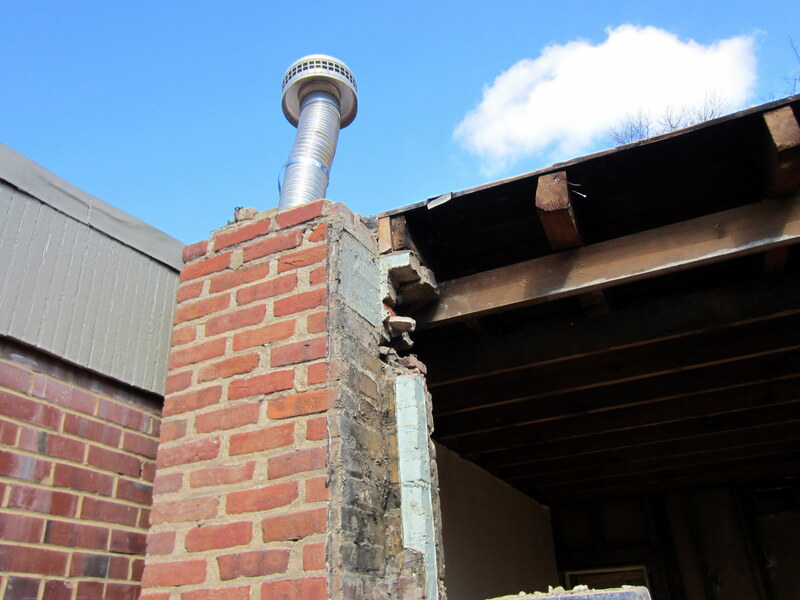 The chimney for our boiler is now starting to be demo’d while the other sections enter oblivion, as well. 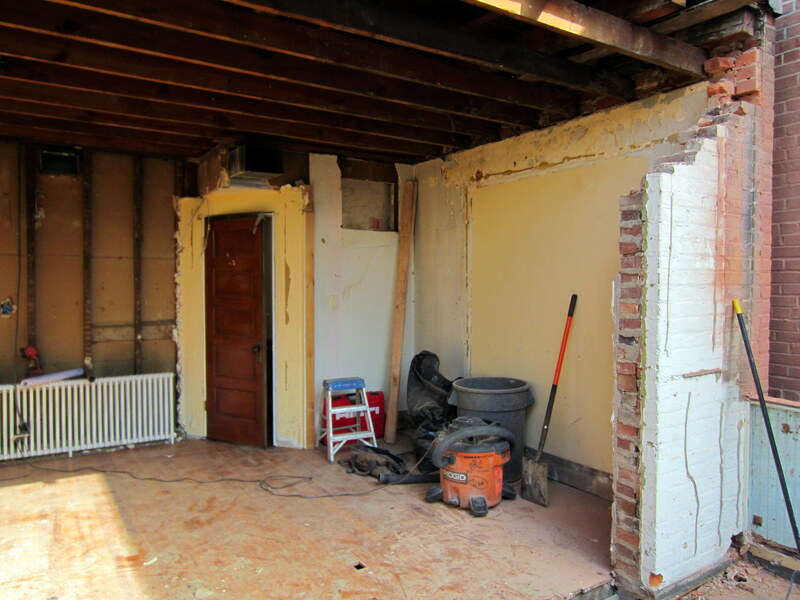 Demo is done – our top is off. 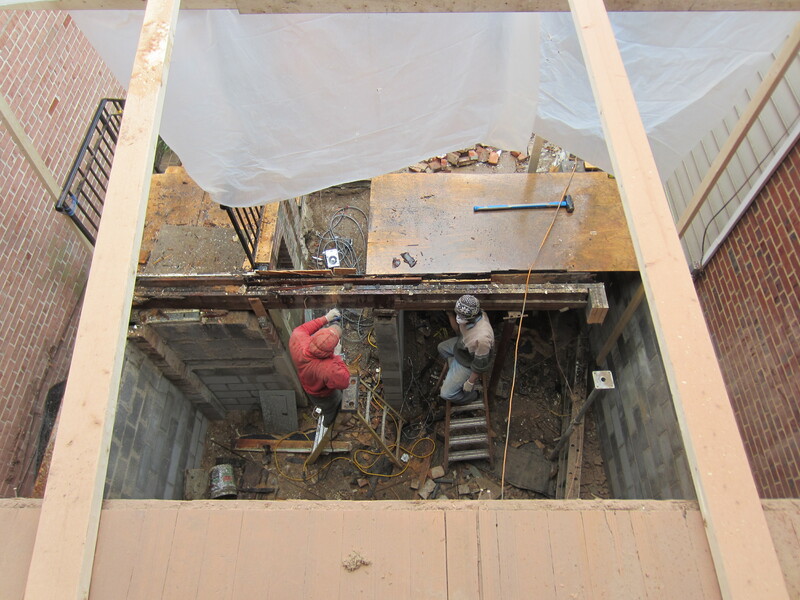 Looking down from what remains from the master bedroom to the first floor and basement. 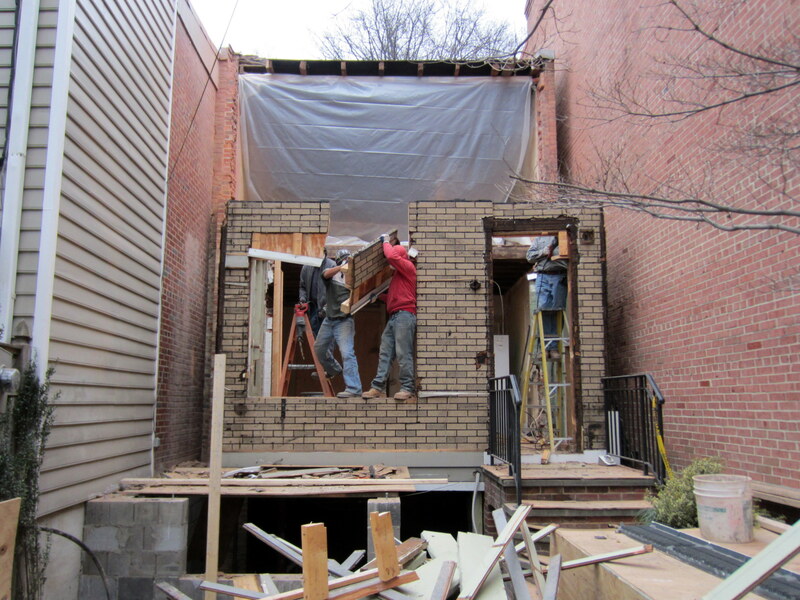 Exterior of the house during the top floor demo. The modern clapboard siding also has been removed, revealing the awesome, faux-brick asphalt shingling that used to clad the house. Sweet! Maybe we should do a retro look for the renovated house. Really exciting stuff. Your place is goin’ be great!